Report Published: "Homeshopping in Ireland"
New Retailing market report from Euromonitor International: "Homeshopping in Ireland"
A survey of online spending has confirmed Irish people love a daily deal, with almost €130 being spent every minute. The majority (87%) of Irish consumers agree or strongly agree that the 'snobbery' about shopping in discounters such as Aldi and Lidl has diminished, according to the latest Consumer Insights report from Empathy Research. First Ireland Spirits Company has been sold to European drinks group Quintessential Brands for an undisclosed sum. ADM Londis has announced a profit before tax of €1.67 million for the year to end 31 December 2013, a 35% increase on the previous year (€1.23 million). Organic like-for-like turnover (excluding tobacco and call credit categories) grew by 1% in the period. Almost half of Eurospar retailers in Ireland are predicting growth in 2014, with over two-thirds planning additional investment in their stores. The opening of a new HMV retail store in Galway city centre is to result in the creation of 25 jobs, the retailer’s parent company Hilco Capital has said. 50 new jobs to be created and significant investment planned. Freshways, Ireland's largest sandwich maker has been acquired in a management buyout from Kerry Foods by Diarmuid Shanahan and Garrett Fitzgerald. The business, which operates from a purpose built 60,000 sq. ft. production facility at Finglas will continue to employ more than 170 staff following the deal. The facility produces 300,000 handmade sandwiches each week for customers in the Republic of Ireland and Northern Ireland, as well as manufacturing sandwich filler for delis and the convenience store market. SuperValu continued its expansion in the Irish retail market today with the opening of a new 20,000 sq foot store in Kinsale, Co Cork. MOST of the meat on sale in Irish supermarkets is 'Bord Bia Quality Assured' product, which means it is farmed and processed in Ireland to specified standards. More than 90pc of the beef, lamb and pork on sale in supermarkets carried the Bord Bia quality assurance mark, according to an audit carried out last month. One4all, the multi-store gift card available from the Post Office, has announced plans to expand its presence amongst independent retailers in Northern Ireland.One4all currently sells £43 million worth of gift cards in Northern Ireland each year, with an average cash value of £26 per card. They are supported as gifts by major retailers such as Debenhams, House of Fraser, Boots and Argos. NAMA has struck a deal copper-fastening its control over the future of the Dundrum Town Centre – including the ultimate say over whether or not to sell the mall. INDEPENDENT Irish supermarkets feel the single biggest threat to their business is the development of out-of-town shopping centres, according to a new survey by BWG Foods. Food banks will be set up in Ireland’s biggest cities to tackle food poverty. “It’s all being done on a voluntary basis,” Horgan told TheJournal.ie, “But Tesco have come on board and we’re in discussions with other retailers. 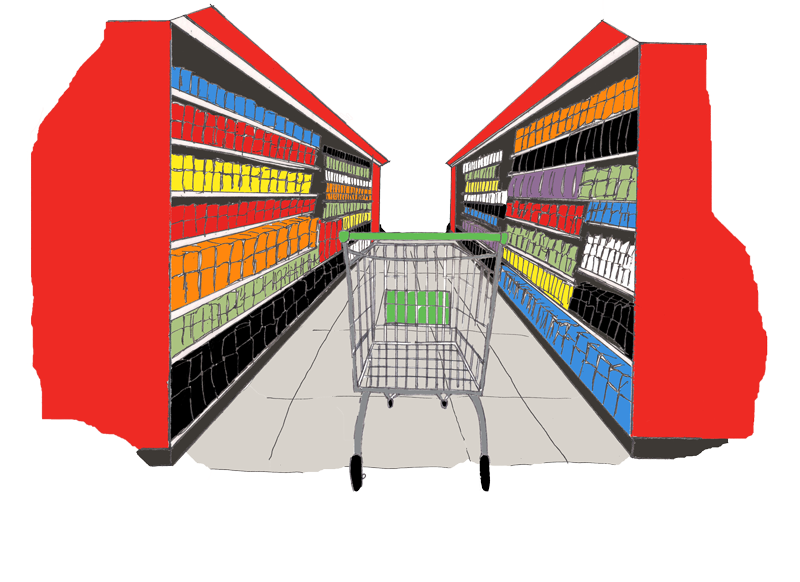 The volume of retail trade in Romania advanced 1.4 per cent in February 2014 from January 2014. A higher rise in the European Union in similar terms was recorded only by Malta (1.9 per cent), according to data released on Thursday by the EU's statistical office Eurostat. SSP, the leading operator of food and beverage brands in travel locations worldwide, has appointed Simon Smith as chief executive of UK & Ireland. Meet the purveyors of buns and bakes to the nation! IN THE heart of Fivemiletown, there is a bakery specialising in small cakes that employs 120 people and produces around 250,000 packs a week, supplying the major branded stores across Ireland and throughout the UK. Irish tech start-up ZinMobi, which has developed a technology that encourages people to spend more money on pizza, expects to double its turnover this year after expanding into America. The eXPD8 Group of companies has announced the purchase of the field marketing arm of Tradewins Ireland, the pre-eminent provider of such services in the Republic of Ireland. This acquisition follows the recent successful purchase and integration of Worthing based sampling and demonstration company Merchandising Sales Force Ltd in October 2013. Sports Direct’s Mike Ashley and restructuring firm Hilco have lost their bids to buy Irish sports chain Elverys to a management buyout. Newcastle United-owning sports market tycoon Mike Ashley's Irish division will invest over €12.5m in growing sports retail here following its unsuccessful bid to buy Elverys. The update reports that retail property made up one-third of turnover. HSBC Alternative Investments’ acquisition of a majority stake in Liffey Valley shopping centre in west Dublin for more than €250 million was the largest transaction in the sector – and also the largest retail investment sale in seven years. IRELAND - Reacting to the announcement by the Enterprise Minister Richard Bruton that regulations are to be introduced to ensure fairness in the food chain, IFA President Eddie Downey said the real test of the new legislation would be a fairer return to producers which covers the cost of production and leaves a margin to reward their work and investment. The Labour Court has recommended that unions representing 2,300 workers at retail giant Marks & Spencer in Ireland accept management proposals concerning the closure of the firm’s pension scheme. UK fashion company Karen Millen has won another round in its continuing legal battle with Dunnes Stores over the protection of fashion designs after the Supreme Court dismissed some complaints raised by the Irish retail chain. SuperValu, Ireland’s leading community supermarket, has donated €100,000 to Focus Ireland. As part of SuperValu’s ongoing commitment to Irish communities, 14 cent from every 19 cent bag of carrots, net of Brussels sprouts, and melons sold in the days before Christmas 2013 were donated to Focus Ireland.